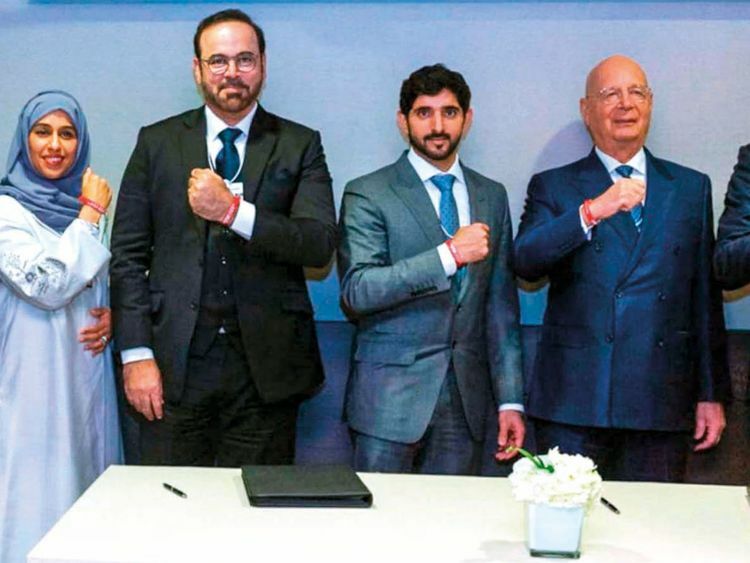 Dubai: Shaikh Hamdan Bin Mohammad Bin Rashid Al Maktoum, Crown Prince of Dubai, wore a Special Olympics bracelet while attending the 49th World Economic Forum (WEF) to express his support for the Special Olympics World Games Abu Dhabi 2019. Shaikh Hamdan is the head of the UAE delegation taking part in this year’s World Economic Forum, now under way in Davos, Switzerland. The Special Olympics World Games Abu Dhabi 2019 will be held in March under the patronage of His Highness Shaikh Mohammad Bin Zayed Al Nahyan, Crown Prince of Abu Dhabi and Deputy Supreme Commander of the UAE Armed Forces.